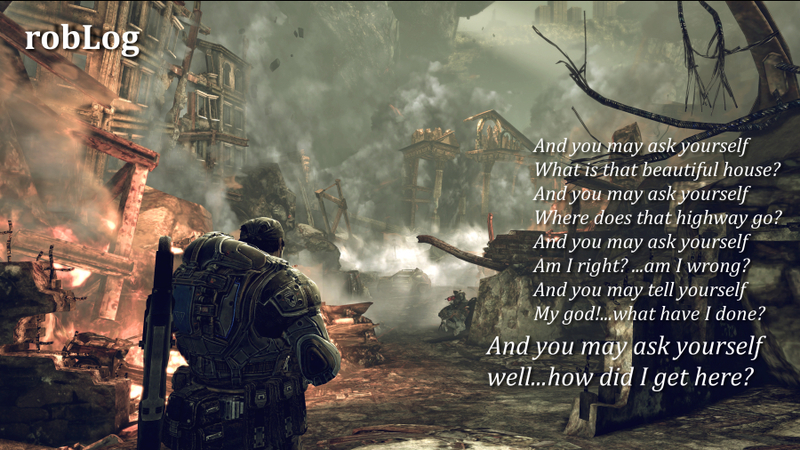 From way back in 2008, here’s an essay that might still resonate with you as we look forward to Gears of War 4 coming out. Let me know what you think in the comments below – the more things change, the more they stay the same. It’s interesting to note which of the blogs survived thus far; I know I didn’t. I moved on past the long-form video game essay into video gaming freelance news, then into tech/Apple blogging, and now most of my actual writing is about highly technical behind-the-scenes stuff for companies that pay well.